Posted on May 21, 2016 May 22, 2016 by Kerri Maniscalco	This entry was posted in Authors, Awesome reads, Big News, Books, Debut Novels, For Readers, Giveaway, Happy Things, STALKING JACK THE RIPPER, Ya, ya books, Young Adult Novels and tagged #BFESTBUZZ, B&N, B-FEST, Barnes and Noble, BEA YA BUZZ, Book Swag, Giveaway, Giveaways, Hachette, historical, Jimmy Patterson Books, Little Brown, SJTR, STALKING JACK THE RIPPER, STALKING JACK THE RIPPER ARC, Swag, Victorian, YA, YA Gothic, ya horror, Young Adult, Young Adult Novels. Bookmark the permalink. Yay for you! It just keeps getting better and better! I’m so happy when I see good things pile up on amazing people! BUT not on B&N in Pennsylvania? What’s that about??? WILL BE POSTING MY TATTED UP ARMS COME JUNE 10TH! Can’t wait! I’m JUST finding out about this and I’M SO EXCITED because it’s your book (!!!!) and my first event!! are somewhat cold. The Honey Pot Strategy is in regards to the placement of items rich in traffic generating products. Hello there! Remarkable blog! 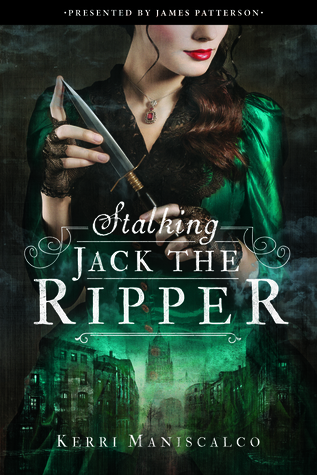 I like the way you described Stalking Jack the Ripper at B&N B-Fest. B-Fest! And this I was really come across.